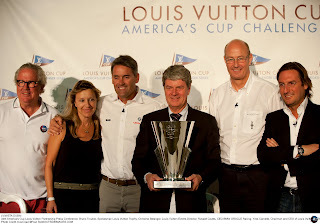 Louis Vuitton Cup - Once Again the Challenger Series for the America's Cup. In the next major step in realizing its new vision, the America’s Cup Event Authority today introduced its first partner, Louis Vuitton. A continuation of its 27-year long association with the America’s Cup, the Paris-based fashion house will present the prize, the Louis Vuitton Cup, to the winner of the America’s Cup Challenger Series, as well as serve as Official Timing for the 34th America’s Cup. 34th America's Cup Louis Vuitton Partnership Press Conference: Bruno Trouble, Spokesman Louis Vuitton Trophy; Christine Belanger, Louis Vuitton Events Director; Russell Coutts, CEO BMW ORACLE Racing; Yves Carcelle, Chairman and CEO of Louis Vuitton; Richard Worth, Chairman, America's Cup Event Authority and Pietro Beccari, Executive Vice-President Marketing and Communications of Louis Vuitton. In 2013, the Challenger Series will be staged with the winner earning the right to compete in the America’s Cup Finals. The Challenger series will be once again called the Louis Vuitton Cup, recognizing the brand’s long partnership with the America’s Cup. In addition, Louis Vuitton will be Official Timing for the America’s Cup World Series competitions, promoting its watch collection. Since 1983, the Louis Vuitton Cup Challenger Series has been held whenever there has been more than one challenger teams for the America’s Cup. Its role is twofold – to select the best challenger team from the teams presented and, to prepare the winner for success against the Defender in the following America’s Cup Finals. “I have competed for the Louis Vuitton Cup three times in the past, so I know how important it is to the Challengers' success. We welcome the return of Louis Vuitton and look forward to racing the winner of the Louis Vuitton Cup in 2013,” said Russell Coutts, CEO, BMW ORACLE Racing. 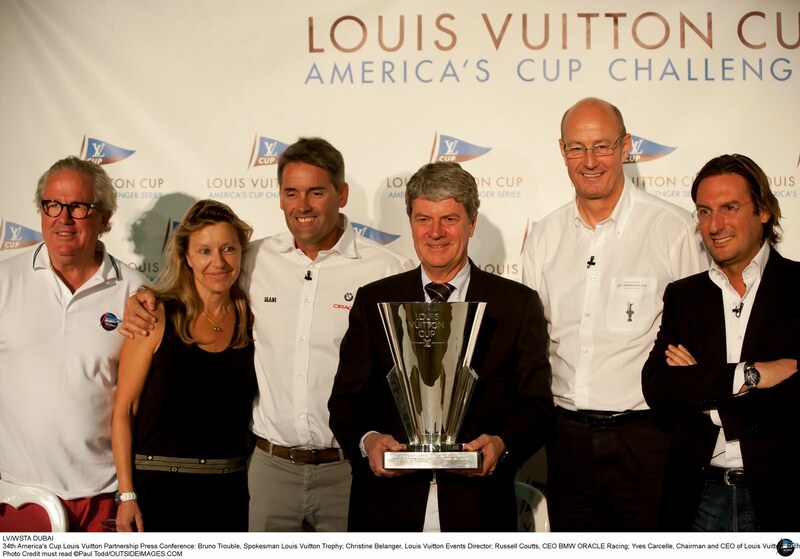 The Louis Vuitton Cup will be held in the summer of 2013, with the America’s Cup Finals in early Autumn. The events will feature the AC72 wing-masted catamaran, a ground-breaking new boat designed to deliver unparalleled racing competition and on-the-water excitement. "Louis Vuitton is a House that cherishes the art of travel and the spirit of adventure. As a long-time partner, we are very happy to be able to accompany the future of the America's Cup," said Pietro Beccari, Senior Vice-President of Louis Vuitton.